Peamount Healthcare’s Community Services play an important role in the primary care network of South and West Dublin. 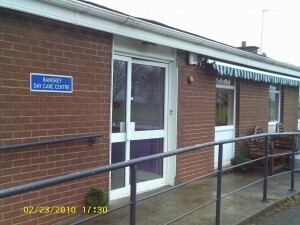 Raniskey, Peamount Healthcare’s Day Care Centre provides day care services for up to 100 elderly people each week. The centre is located on the Peamount campus and is open Monday to Friday. Clients must be over 65 and are drawn from a catchment area that includes Clondalkin, Lucan, Celbridge, Newcastle, Rathcoole and Saggart. Peamount Healthcare provides some of our clients with transport to assist them in accessing the service. The Centre follows a social care model supported by Specialist Nursing Staff. All clients have a full nursing assessment, and staff liaise with the client’s GP, Public Health Nurse and family to ensure that an accurate record of their health is established. This assessment assists staff in planning health promotional activities that meet the needs of the client. Where appropriate the Nursing staff may refer clients for services such as Physiotherapy, Occupational Therapy, Speech & Language Therapy. Clients engage in a number of activities while at the Centre. The day starts with Breakfast followed by exercises to music which helps improve co-ordination and flexibility. Social activities including quizzes, reminiscing, bingo and arts and crafts occupy much of the day. A full lunch is also included. Clients also have access to a variety of services such as bathing, manicures and hairdressing. From time to time outings are organised from the Centre. The Centre aims at maximising the self-care capability of older people while maintaining family and social relationships within the community. For many it is the highlight of their week and is seen as an essential service in helping clients maintain their independence and continue to live at home. Clients are referred to the Centre by Public Health Nurses and GPs. A referral form must be submitted which is reviewed by the Centre nursing staff. If deemed suitable, the applicant is offered a place as soon as a vacancy becomes available. Priority is given to clients that are living alone with minimal services. Peamount Healthcare working in partnership with community based health services provides a vital primary care diagnostic service to adults living in the community. This Service is located in the Out-patient Department on the Peamount Campus. Blood & Microbiology Testing: As ordered by the client’s GP. While the samples are taken in Peamount they are then sent out externally for testing. This service is available Monday to Thursday mornings. Mantoux (TB): Skin test for TB. This service is available by appointment following a Doctor’s referral. Allergy Tests: Skin prick allergen provided by appointment. If tests prove positive, clients can avail of the Asthma Allergy Service. ECG: This measures the electrical stimulus of the heart to identify heart irregularities. It is a Walk in Service but a Doctor’s referral is required. Available Monday to Thursday mornings. Pulmonary Function Tests: These tests measure how well the lungs take in and release air and absorb oxygen into the blood. Once a GP referral is received the client is contacted with an appointment. Radiology: The Radiology Department provides chest & sinus X- Rays by appointment with a Doctor’s referral. Peamount Healthcare’s diagnostic services are free, fast and accessible and there is no charge for parking. Peamount Healthcare offers out-patient Physiotherapy, Occupational Therapy, Speech & Language Therapy and Audiology services to people over 18 living at home in the community. 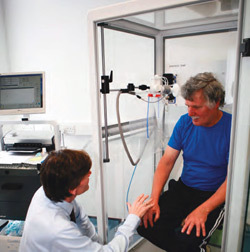 It is located in Peamount Healthcare’s Rehabilitation Centre. This Service provides rehabilitation programmes for people following their discharge from Hospital inpatient services and the treatment/rehabilitation of patients with: Neurological Conditions including Stroke, Motor Neuron Disease, Multiple Sclerosis, Parkinson’s Disease and Traumatic Brain Injury. Physiotherapy is provided for acute and chronic Musculo-skeletal conditions, e.g. backs, hips and other joints, osteo-arthritis, sports injuries, fall related injuries and rehabilitation following replacement of hip and knee joints. The ‘Living with Aphasia Groups’ provide ongoing group support for people with communication difficulties following a stroke. These groups improve participation in community life and psychosocial functioning by providing opportunities for group members to communicate with different people in a more natural environment. The Audiology Service offers outpatient audiology appointments for hearing evaluation. The Occupational Therapy Department offers client/carer education and support; communication and cognitive rehabilitation; upper limb therapy programmes; self- care and domestic and community living skills training programmes. Peamount Healthcare’s Therapy Outpatient Service is free and accessible and there is no charge for parking. The waiting time for an appointment is dependent on numbers currently accessing the service. To access this Service you must be referred by a Consultant or a GP. An appointment is also required. The Centre provides accredited training programmes for Peamount Healthcare staff and health and social care staff from other organisations in the region. The Centre also provides mandatory health and safety training courses. Peamount Healthcare’s Journal Club hosts lunchtime talks that are open to people from organisations in the region. 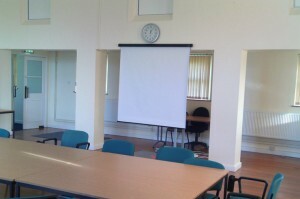 The facilities of the Education Centre are available to rent at very reasonable prices seven days per week. Catering for coffee breaks and lunch can be provided if required. The Education Centre plays a crucial role in maintaining the quality of client care in the Service and is an important resource to other service providers in this region. Its facilities, convenient location, free parking and excellent value make it an attractive venue. For more information, or to book, please contact the Centre at 01 6010300 ext 339.